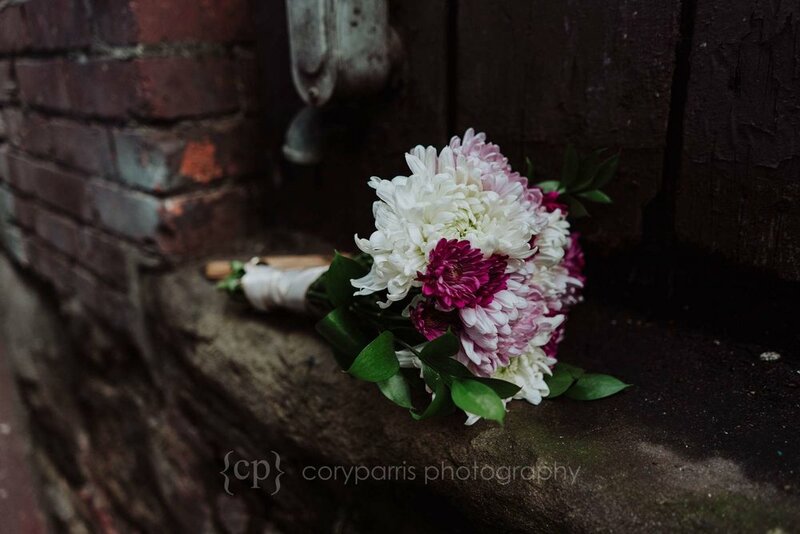 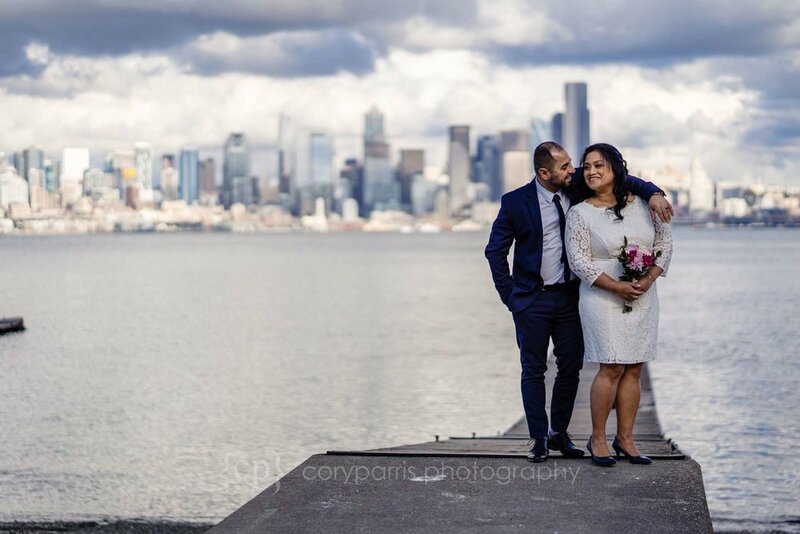 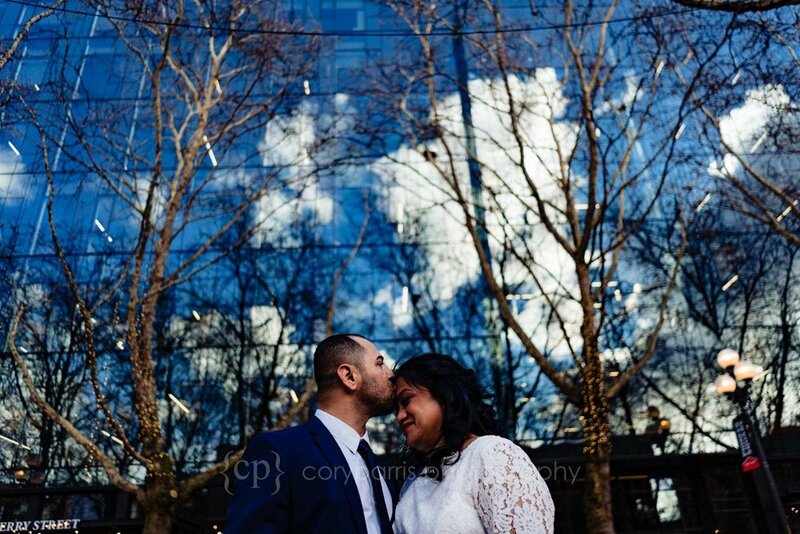 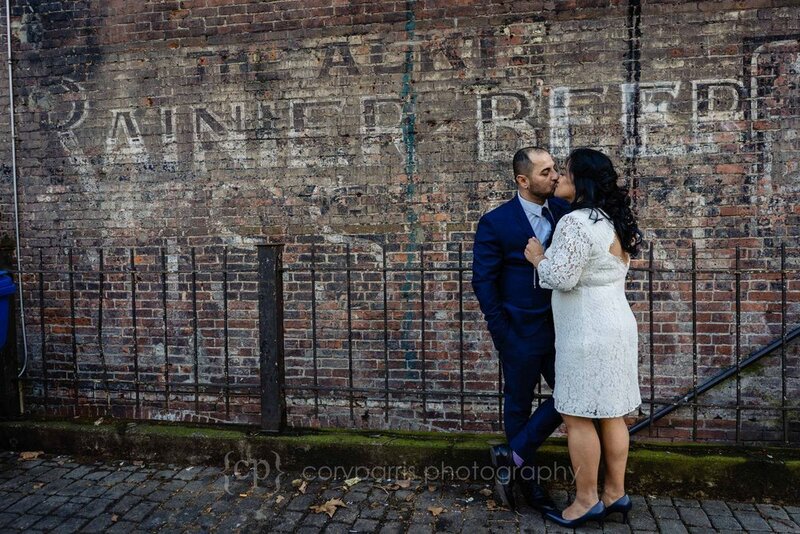 Christina and Yad at Occidental Square before their elopement at the Seattle Municipal Court. 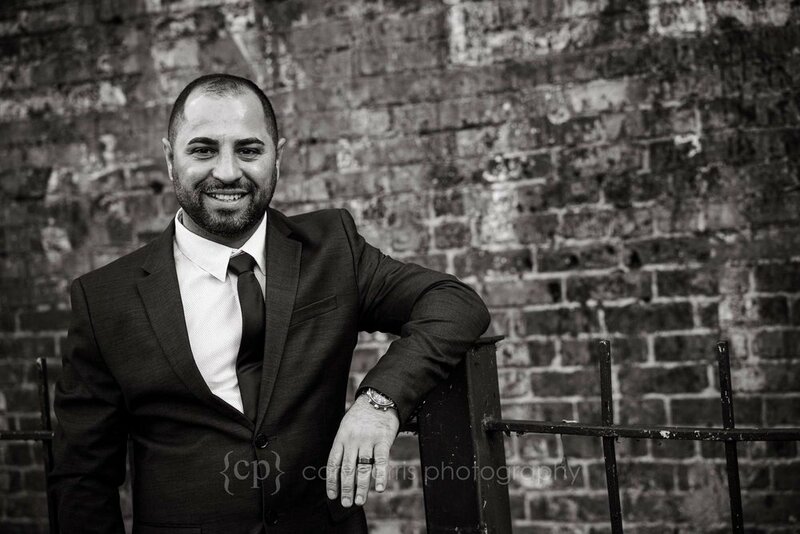 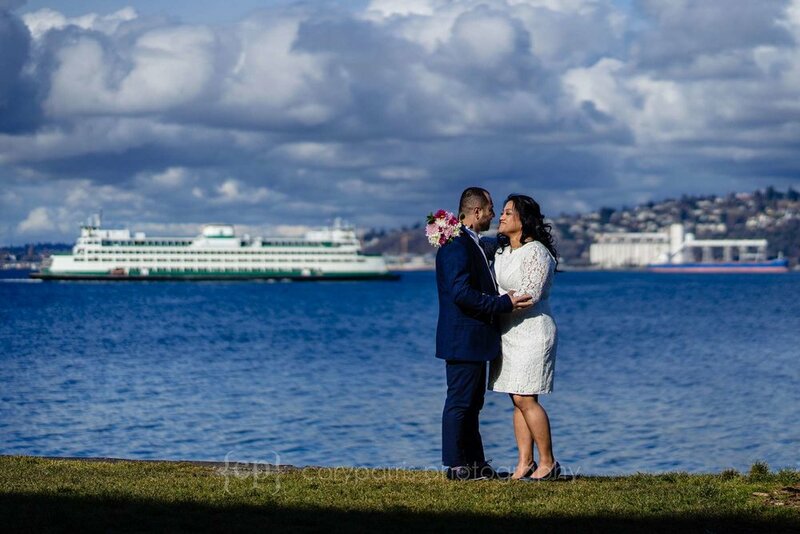 Christina and Yad met at an armored truck company. 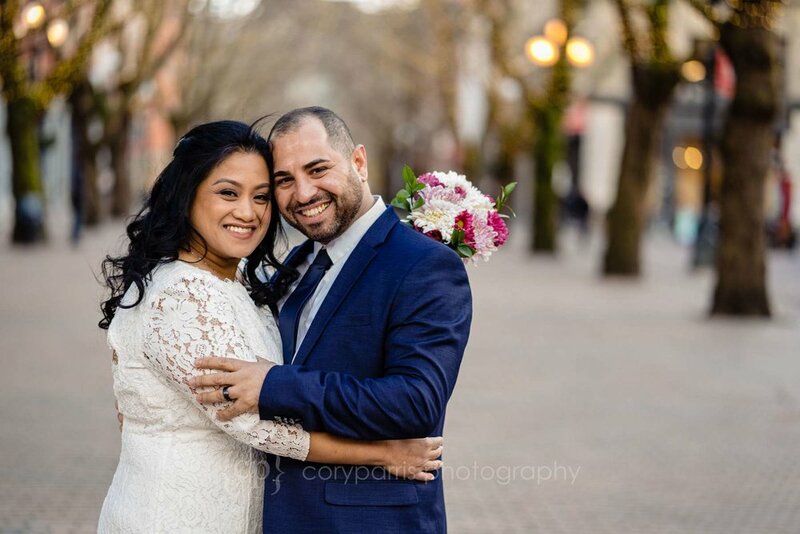 As much as it sounds like the beginning of a movie, it is a real world romance that led them to getting married. 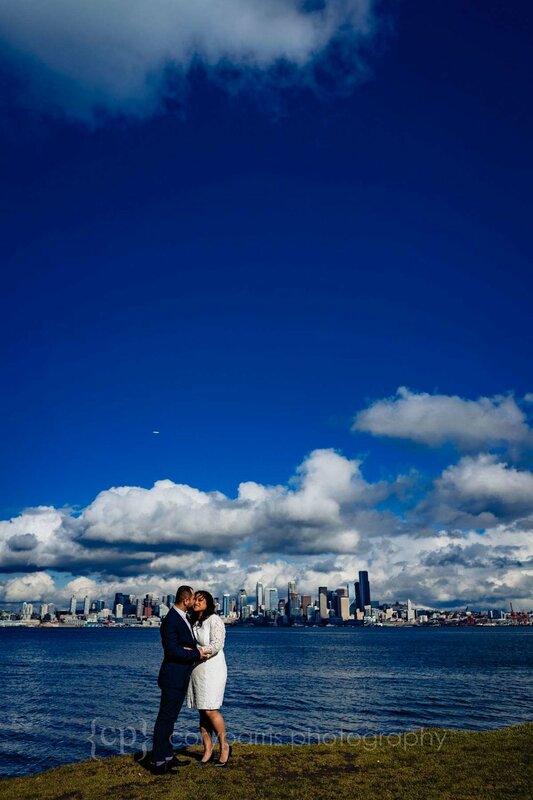 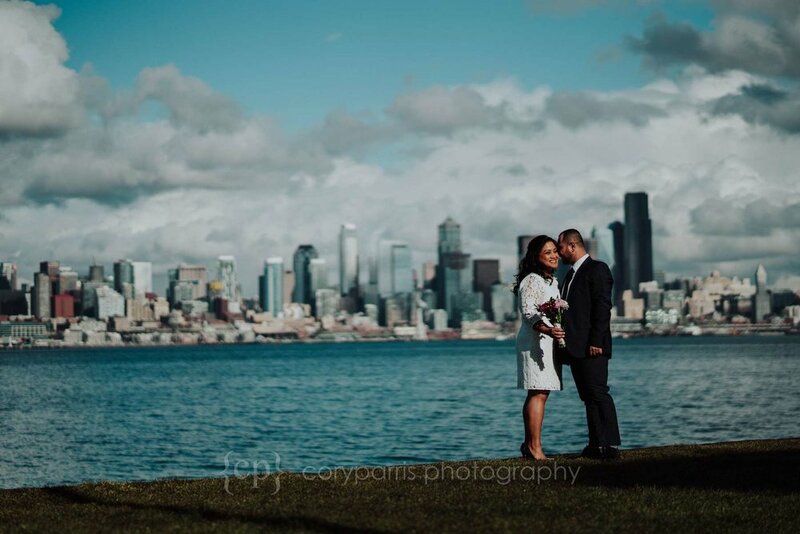 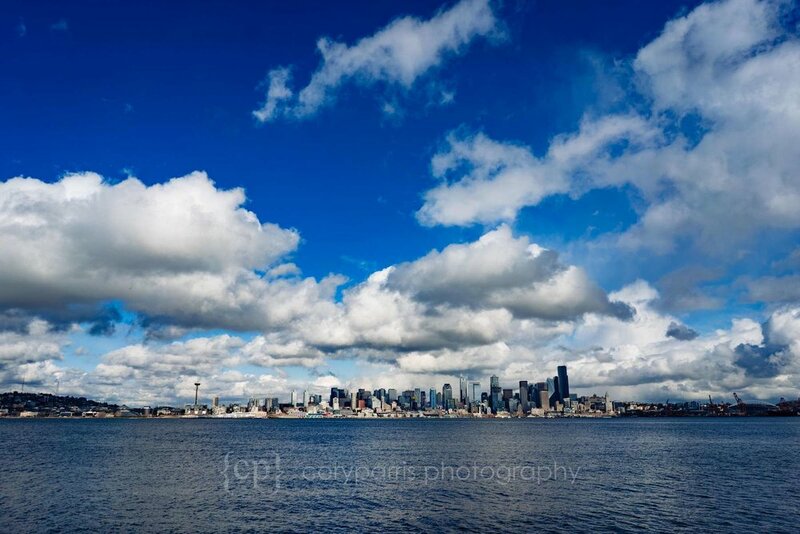 It ended up being a beautiful, if cold and windy day so we met Seacrest Park in West Seattle for portraits. 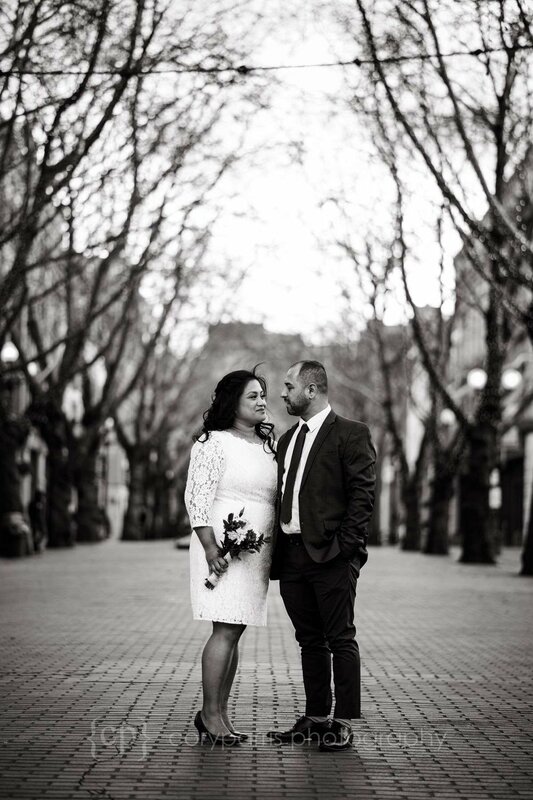 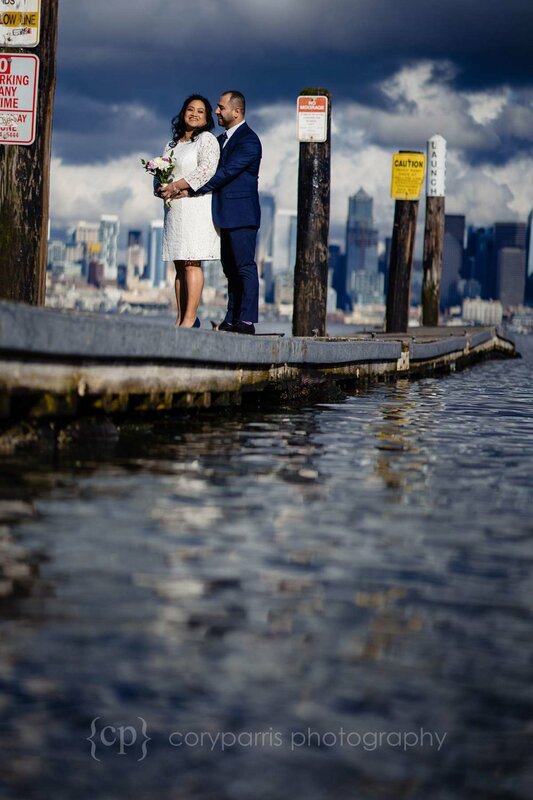 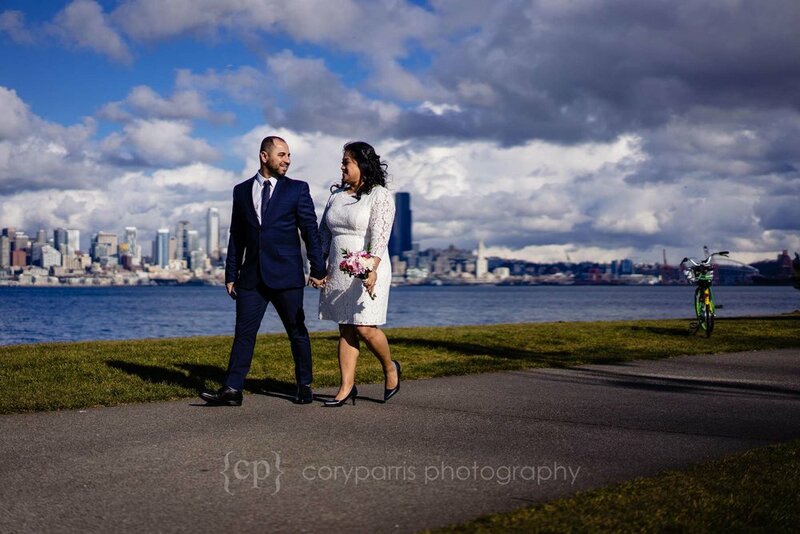 Then we walked from the courthouse to Occidental Square and finally went and go them married at the Seattle Municipal Court. 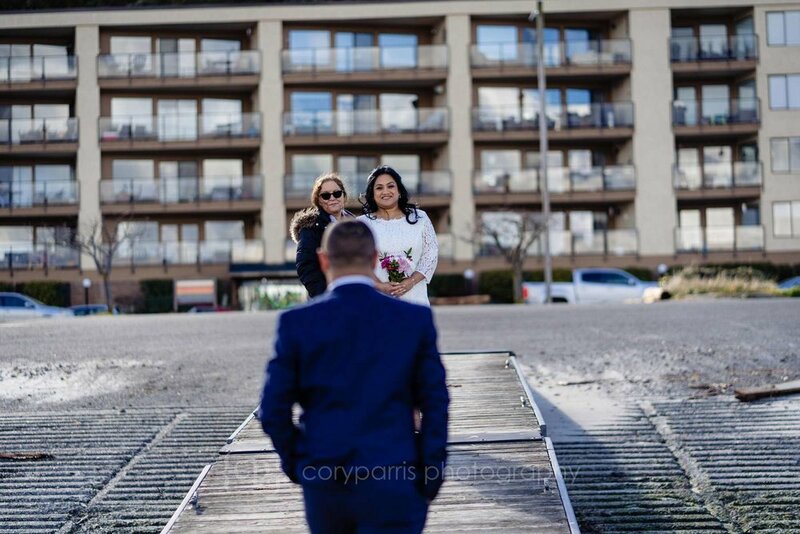 They are an incredibly nice and gracious couple and it was a pleasure to be a part of their wedding day!